I met up with Lou and one of his coworkers to taste through Californian Syrah. To the mix I threw in a brown-bagged bottle of Australian Syrah. The Californian wines were initially popped and poured. At roughly one decade of age this might be the preferred manner to drink these wines as the flavors show more generously, not quite revealing the strong structures lurking underneath. These wines are not yet at peak maturity but are still tasty. The 2007 Shane, Syrah, The Villain, Mendocino County is all about black olive aromas and dry, black flavors in the mouth. It is satisfying but does not have the expression of our next wine. This is the 2007 Stolpman, Hilltops Syrah, Santa Ynez Valley and is my favorite of the group for drinking now. It is lifted both on the nose and in the mouth leaving a fresh impression. I think that the 2006 Pax, Syrah, Alder Springs Vineyard, Mendocino County has the strongest potential out of all the wines tasted. There are good flavors just starting to come out. Purportedly from the oldest Syrah vines in the world hails the 2004 Langmeil, The 1843 Freedom Shiraz, Barossa Valley. Made from vines planted in 1843 it is seamless and clean with good acidity. Alcohol 14.2%. Lou noted “black olives” on the nose and both Jenn and I agree. 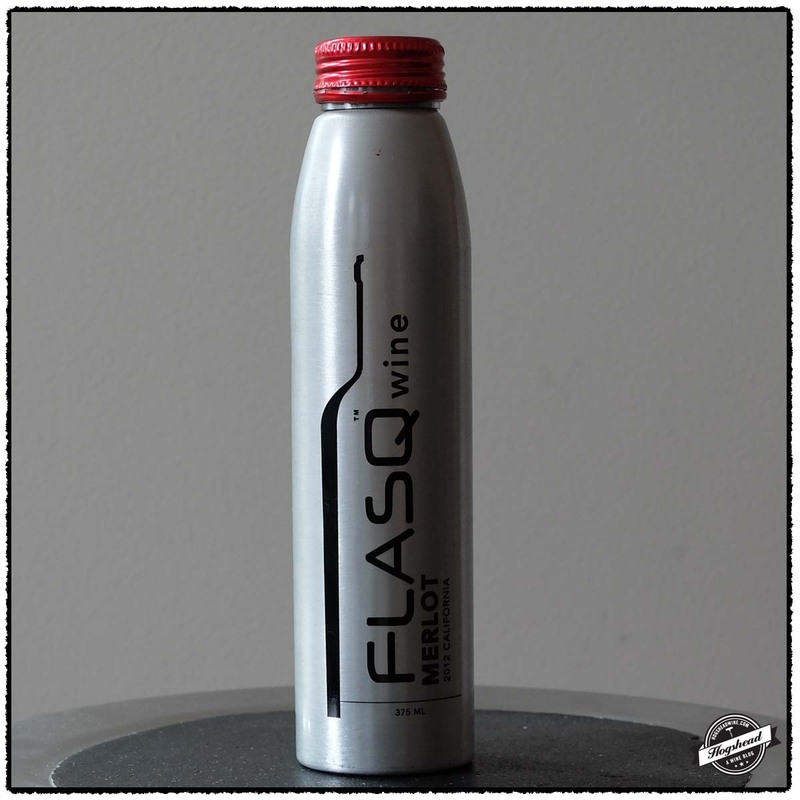 This is an articulate wine with black, finely textured flavors and a fresh, dry finish. It is chewy at first with dry baking spices and minerals. With extended air the dry nature and structure for age become more apparently. *** Now – 2027. Alcohol 15.0%. A slightly tight nose at first though with deep aromas. With air there is a lifted suggestion. In the mouth this is a fresh, mineral wine with good presence and lifted flavors. There is watering acidity and a finely ripe finish where a ripe tannic structure is evidence. With extended air it takes on some savory power at the end. ***(*) Now – 2027. Alcohol 14.9%. Chocolate and red fruit mix with the substantive structure by the middle. The flavors are entering maturity with a core of complexity slowly coming out. It is lively on the tongue with good poise throughout, notes of baking spices, and a long aftertaste. It is tight, chewy, and not quite at full maturity but will certainly improve once there. ***(*) 2019 – 2027. Imported by Epicurean Wines. Alcohol 14.5%. The mixture of dark fruit, olives, and Kirsch smells Australian to me. There is a ripe controlled start which quickly expands leaving clean fruit throughout the mouth. This is a seamless wine with fresh acidity. *** Now – 2022. With the end of the year approaching I thought it appropriate to start drinking some of the lesser bottles that I have as well as those of which I have several. The 1991 A. Rafanelli Winery, Zinfandel, Dry Creek Valley, Sonoma County came from the Earthquake Cellar. Though in stellar condition it initially tasted of rather acidic, bright red fruit. I thought it a goner so I switched to the double-decanted 2007 Chateau Pesquie, Quintessence, Ventoux. This bottle of Pesquie delivered the goods both with aromas and in the saline accented flavors. 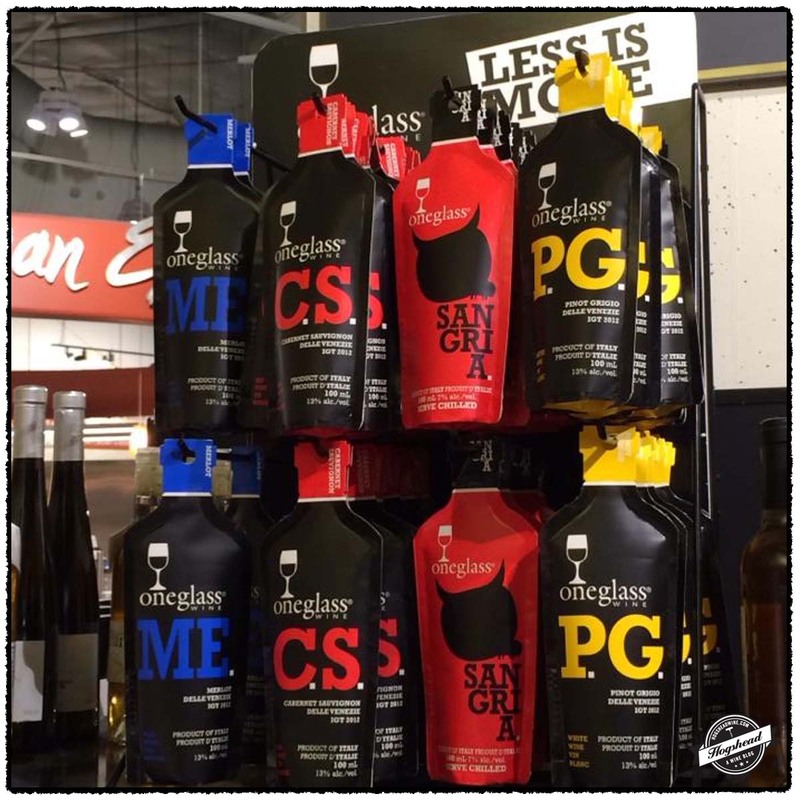 It is a large-framed, robust wine that does not fall victim to the high alcohol level. Many hours later, the Rafanelli fleshed out with cherry flavors that balanced the acidity along with attractive wood notes from age. It ultimately came across as reasonably youthful with only the menthol aspect confirming its age. Also from the 1990s is the 1998 Viking Wines, Cabernet Sauvignon which we last tasted in 2008. 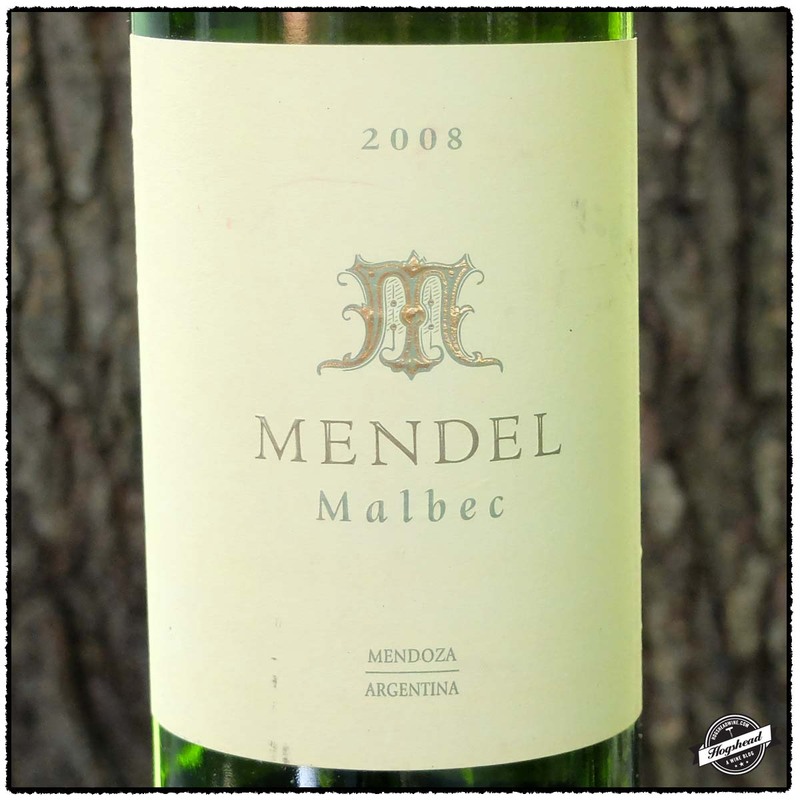 This soft, old wine still sported jammy berries with enough acidity to keep it together. The two wines from the 1990s were enjoyable enough to finish and while worthy of the experience, I would not bother seeking them out. Finally, the 2004 Domaine des Espiers, Cuvee Tradition, Gigonda remains a solid enough, modern wine as it did when last tasted in 2011. Perhaps not the most exciting quartet of wines but I do not mind. I just received a slew of wines from 1947 through 1985 which I will be opening up this winter. These bottles should be tons of fun! Alcohol 13.8%. After a few hours of air the nose became attractive with sweet, old scents of leather and wood box. Though acidic at first this wine fleshed out with cherry fruit, some weight, and watering acidity through the back of the toast. It showed hints of ripe wood and a menthol finish. ** Now. Imported by Weygandt-Metzler. Alcohol 12.8%. This licorice flavored wine was rounded and a little soft with jammy berries in the finish. 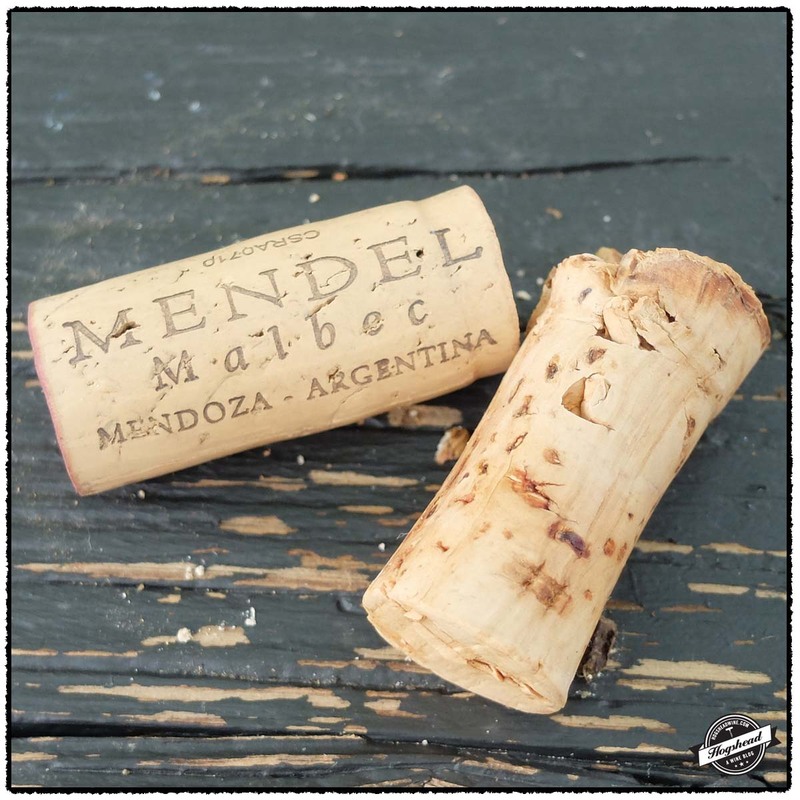 The flavors mixed with old wood, old perfume, and a finish of minimal tannins and menthol freshness. The acidity was bound in the softness, giving it just enough liveliness. ** Now. Imported by the Country Vintner. Alcohol 14.5%. Though this developed some nuanced flavors, it largely remained firm. It was quite tannic at first then firm black and red fruit came out. The watering acidity transitioned to a modern finish with a good dose of fine, drying tannins on the tongue. Not too interesting of a wine. ** Now – 2022. Imported by Eric Solomon/European Cellars. This wine is a blend of 80% Syrah and 20% Grenache. Alcohol 15%. Aromatic on the nose and rich in the mouth with saline infused black and red fruit. Weighty but not overbearing, this wine is taking on bottle aged complexity but still has the vigor of youth. It has some attractive raciness right now but I think it will benefit from several more years of age. ***(*) Now – 2025. I travel with some consistency. In my desire to have a few glasses of wine in my hotel room I inevitably do not finish the bottle I have purchased and dump the remains down the sink. That is a waste which could be eliminated by drinking from single-serve bottles. While it is in my nature to travel with a corkscrew, others may not, particularly if you fly carry-on. 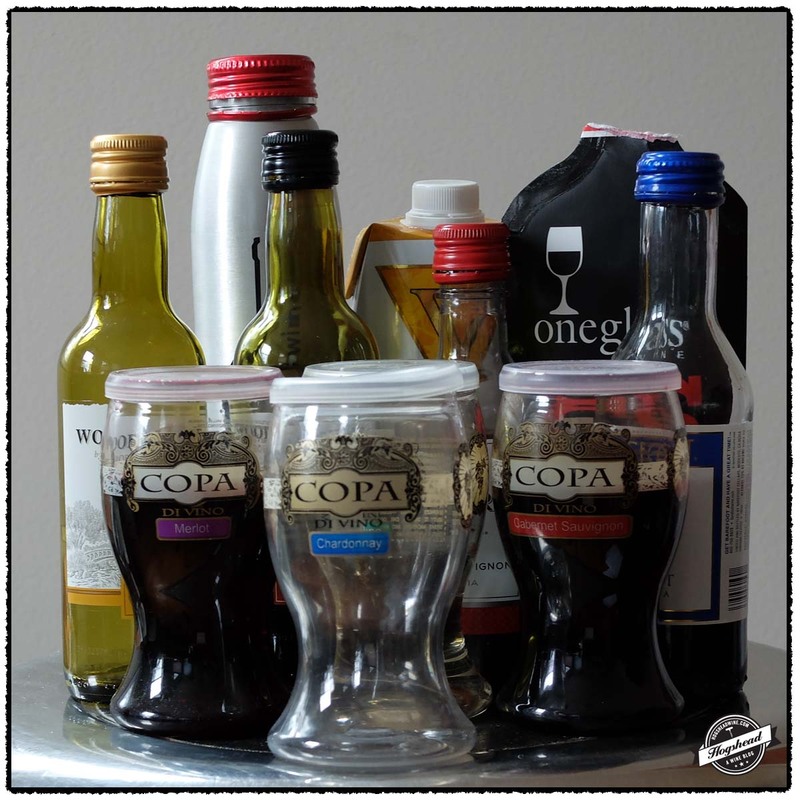 In this post we investigated small servings of wine which do not require a corkscrew to open. These are suitable not only for travel but other occasions including lunch in one’s cubicle, a picnic, or perhaps the long train ride home. 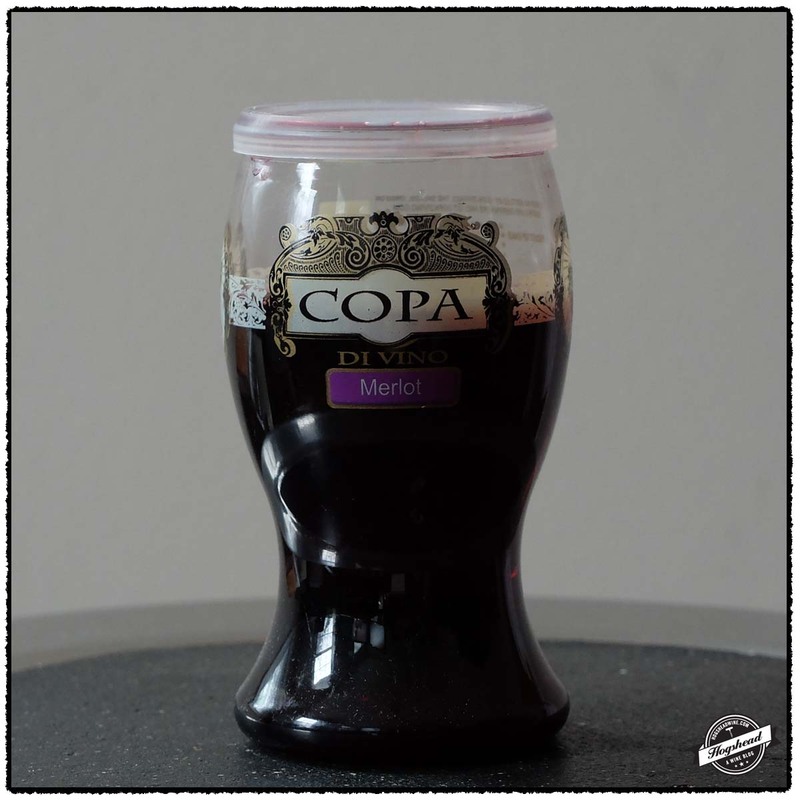 There is a certain tongue-in-cheek nature to the idea of this post, given the timing of this first day of April, but one thing which is true is that my most viewed post remains I Try Cups of Copa Di Vino. Back in January almost 1,000 individuals read this post within 24 hours. 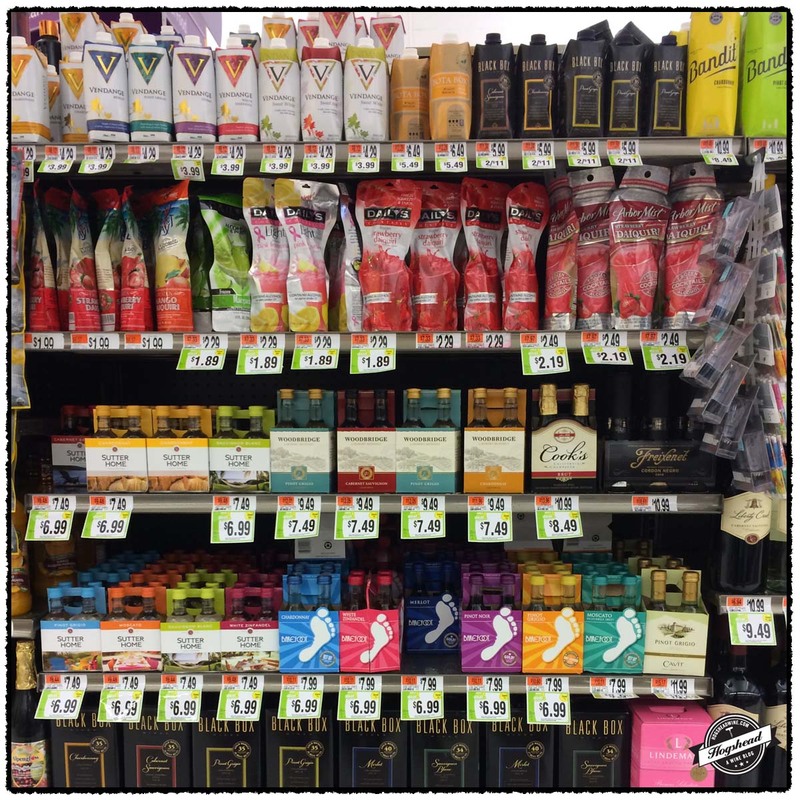 The wines featured in this post come from a variety of sources including Giant in Manassas, Sheetz gas station in Morgantown (thanks John! ), and Whole Foods in downtown Seattle. The per bottle price ranges from $6.29 for NV Sutter Home, Cabernet Sauvignon, California to a whopping $20.18 for the NV oneglass Wine, Cabernet Savuignon, Delle Venezie, Italy. 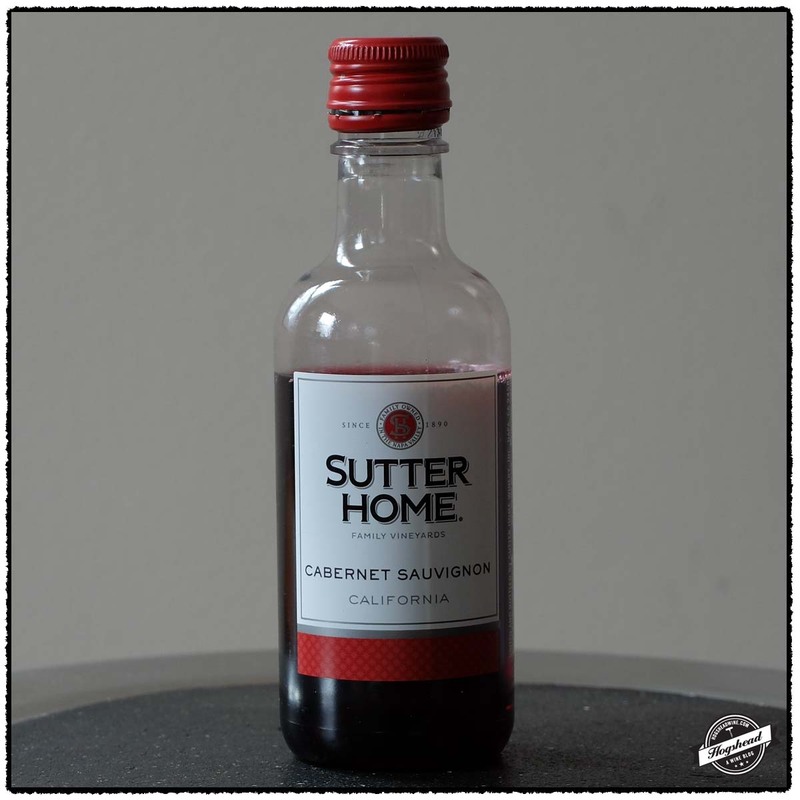 The last time I recall drinking a single serve bottle of wine was on an Alaska Airlines flight where I featured the 2009 Sutter Home, Merlot, California in my post Tasting Wine at 34,000 Feet….Live! 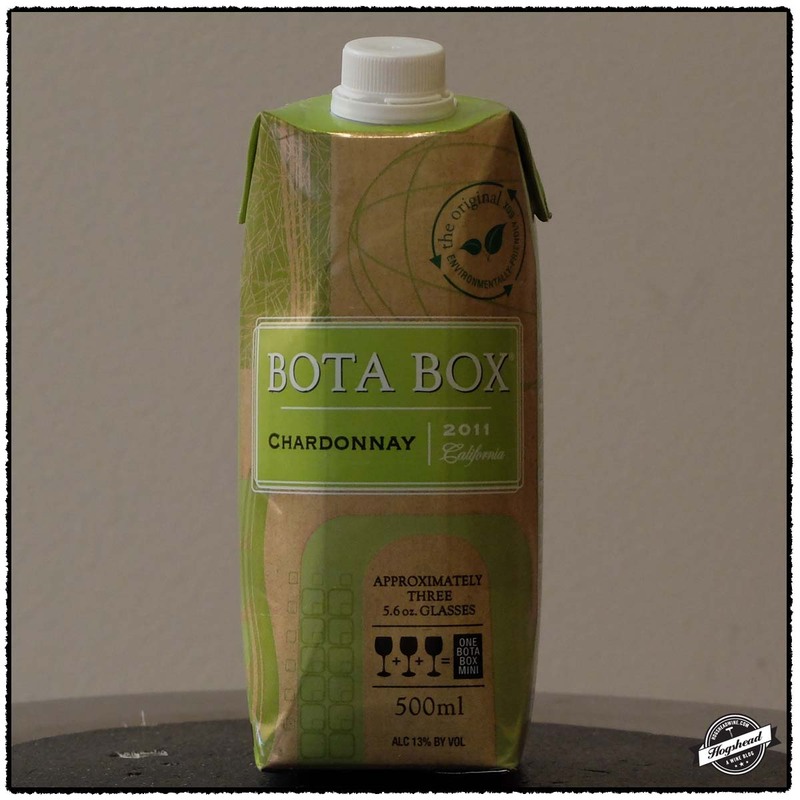 Of the wines tasted the 2011 Bota Box, Chardonnay, California ranks as the worst wine I have ever drunk in my life. It literally made me want to puke and like sticking your fingers down your throat, it was repeatable. 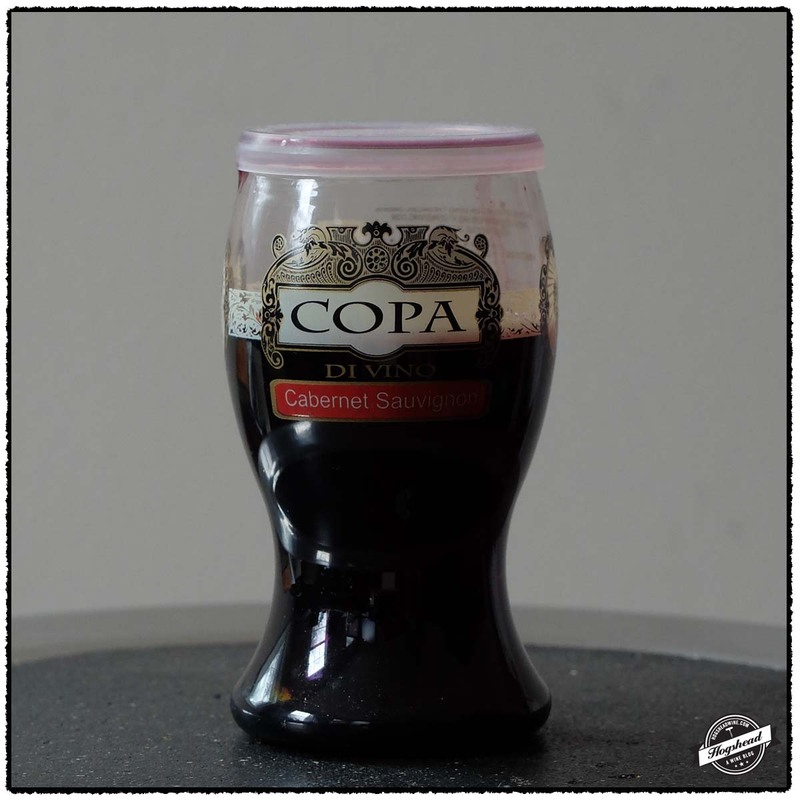 If it acceptable to find Copa di Vino at a gas station then it is unacceptable that Whole Foods was selling the NV oneglass Wine, Cabernet Sauvignon, Delle Venezie, Italy. Beyond the $20 per bottle equivalent sales price, marked down from $22.50, the wine was off-putting. I simply cannot imagine how it ended up on their shelves. One thing that might be telling, there were just a handful of these containers left as compared to my previous visit. 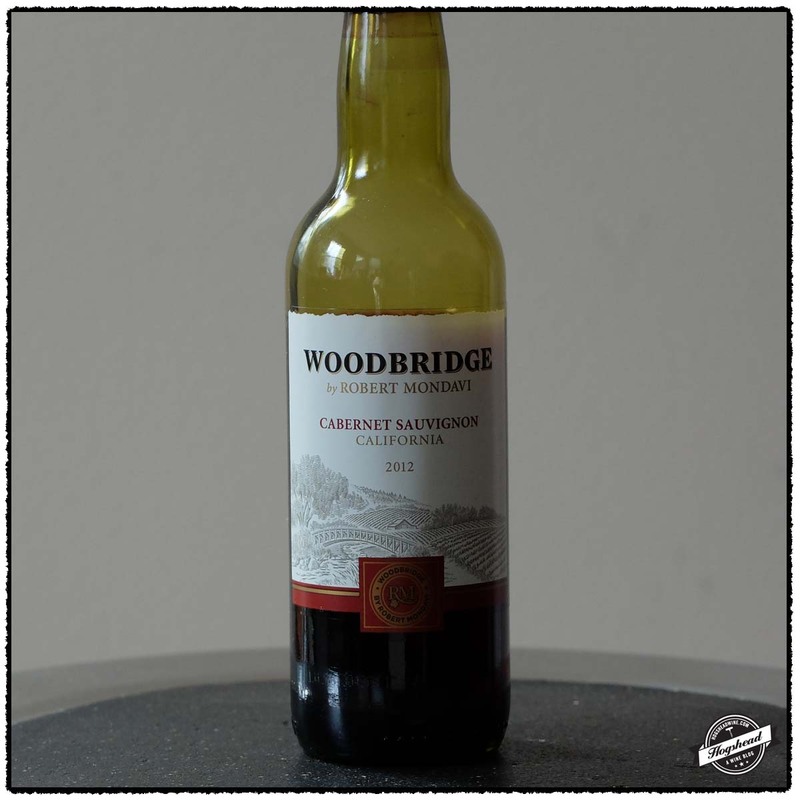 Of all the wines tasted the 2012 Woodbridge, Cabernet Sauvignon, California was the best. It smelled and tasted like wine and at $6.74 per 4-pack it was all that I expected. It comes with a handy carrying case. 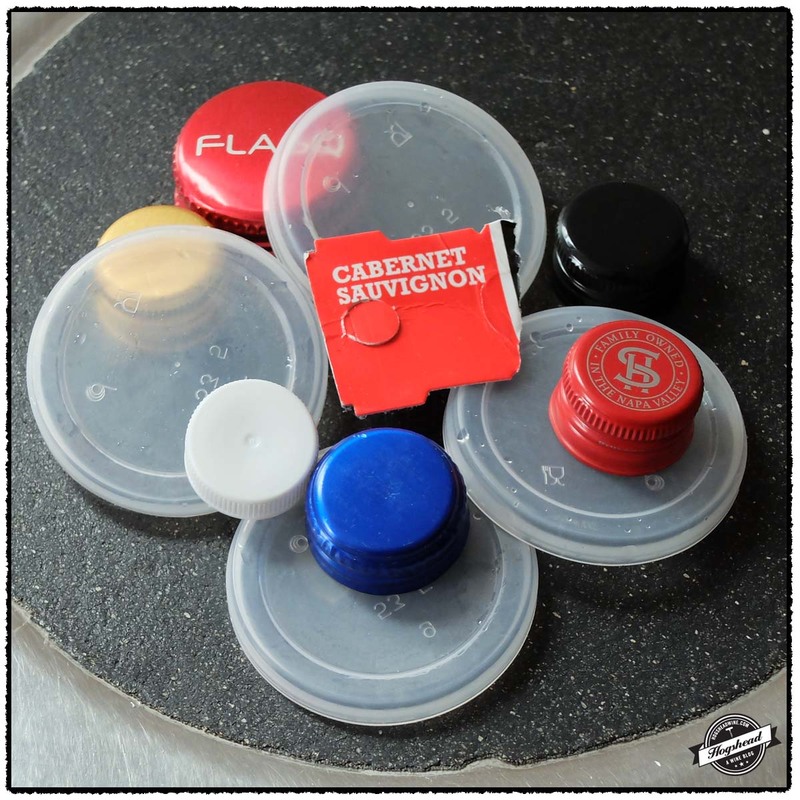 If you do not mind dumping some wine down the sick then you are better off buying by the screw-capped bottle. The best of the dry whites was the NV Vendange, Chardonnay, Australia. Rather mellow for my tastes it could be thought of as a mature box wine! 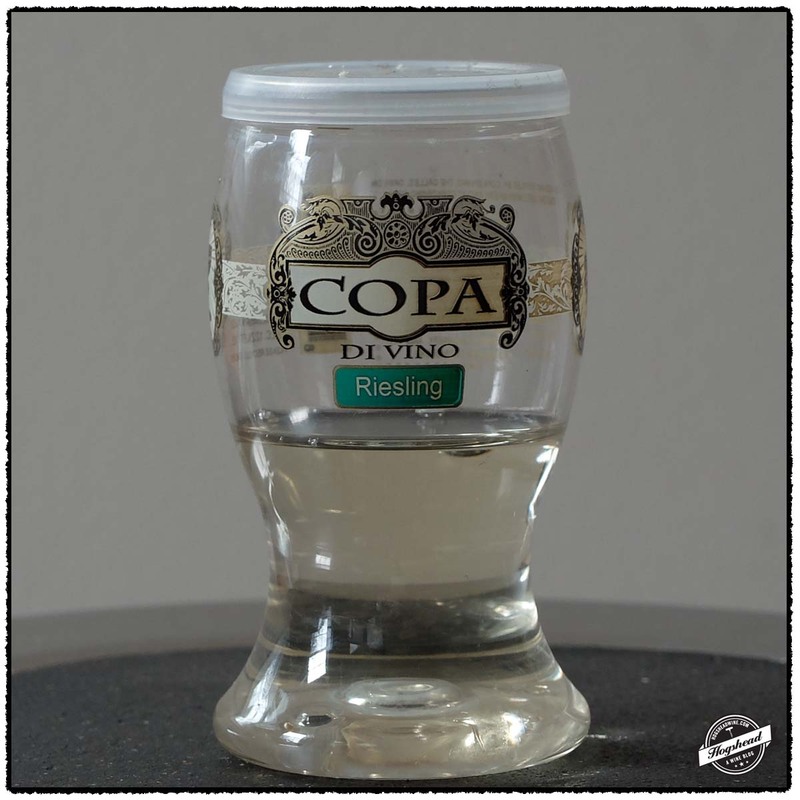 The best and only off-dry white was the Copa di Vino, Riesling, Columbia Valley. 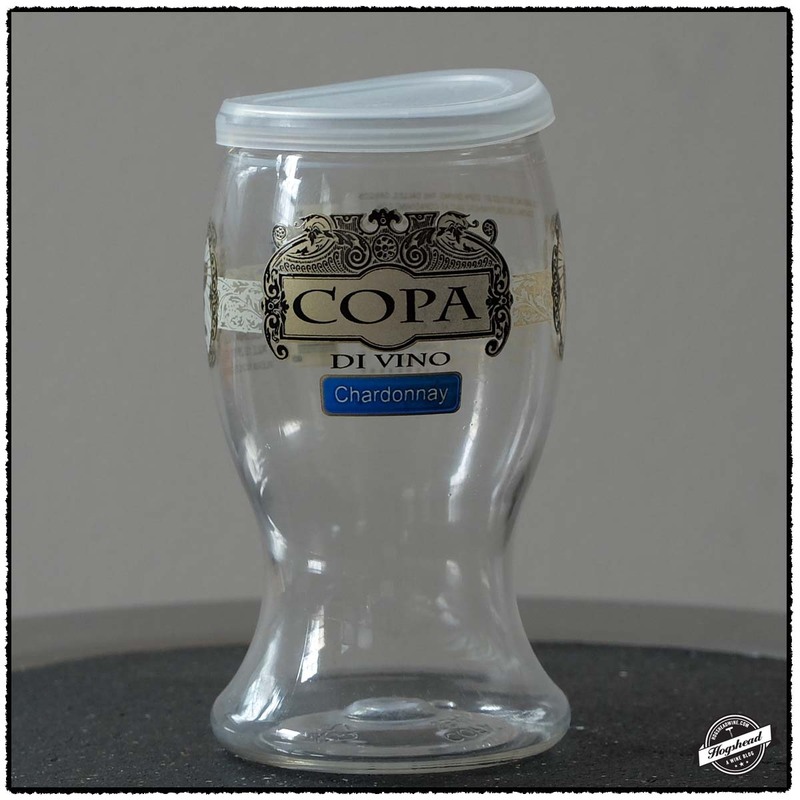 This was in fact the best of the Copa di Vino wines we tried for it did not purport to be anything else. Use by 07-29-14. Alcohol 13.2%. The color was a very light straw. The very light nose had a little oak influences, yellow fruit, and stink notes. In the mouth were lean, acidity driven flavors which became puckering with a lot of acidity by the aftertaste. It was watering with a metallic note and the stink persisting in the mouth. On the second night it was still funky and stinky. Poor. Alcohol 13.5%. The color was a light yellow green. The nose had fresher yellow fruit which turned tropical. There was very acidity driven fruit, a roundish feel, and acidity on the tongue tip. It had a creamsicle flavor and a metallic finish. There was some grip in the aftertaste. On the second night it was very similar but with more tropical notes. Drinkable. * Now. Alcohol 12.5%. The color was a very light straw. The light nose had slightly richer yellow fruit. In the mouth were lower lying flavor, much less comparable acidity. As a whole more mellow but with some balance. It had some toast in the apple-like finish and became more balanced with air. There was even some aftertaste. Tropical notes develop for which it needs more acidity. Drinkable. * Now. Alcohol 13%. The color was a light golden yellow. The nose bore mature pineapple pieces. In the mouth this dense tasting wine was mouth filling with supporting acidity and non-descript flavors. Odd. There was a metallic finish. Strange enough, there was an odd reaction in the back of my throat…this wine made me want to puke. Poor. Freshest by 08-12-14. Alcohol 12.2%. The nose smelled like sweet wine. In the mouth was a sweet entry with supporting acidity and a little texture on the tongue tip. It had tropical white and yellow fruit flavors. There was a short finish. * Now. 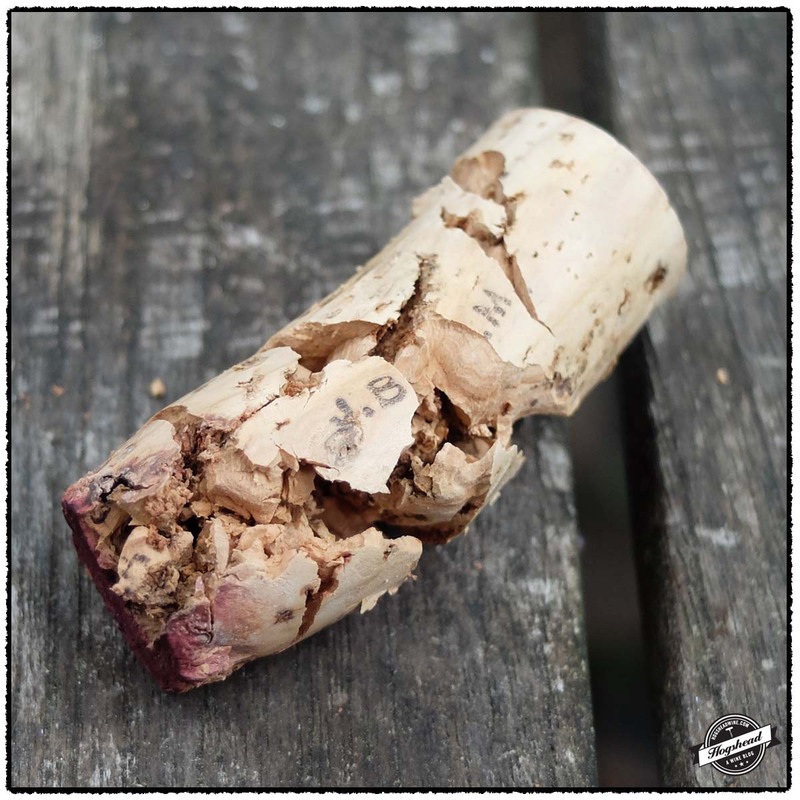 The red wines generally left the impression of either being heavily manufactured or made from the discarded remnant of bad wine. 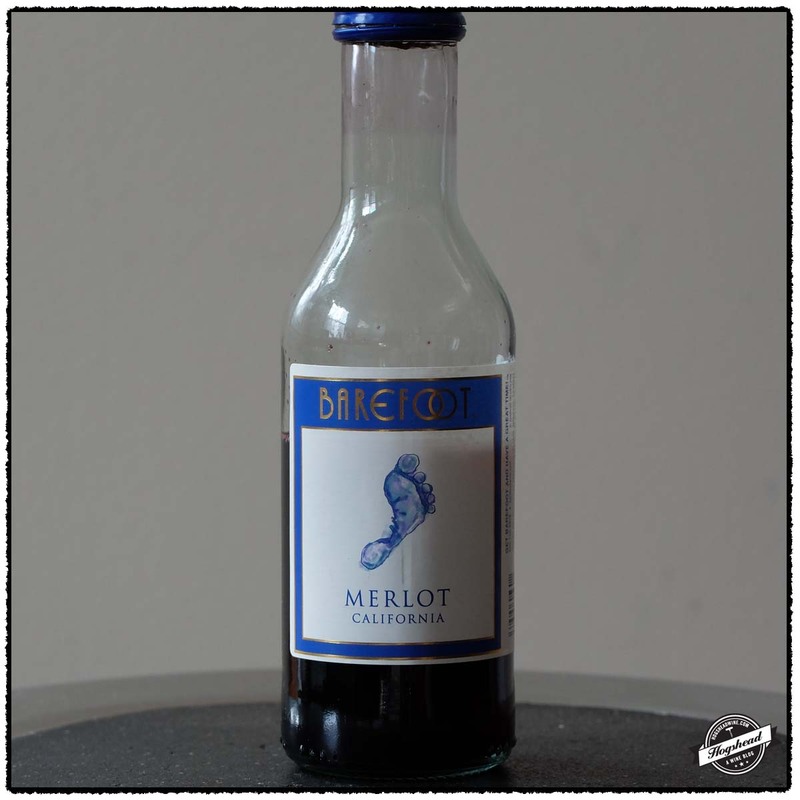 The NV Barefoot, Merlot, California might have fans because it is intentionally slightly off-dry but it did pass the threshold of being drinkable wine. Just a few tens of cents more the 2012 Woodbridge, Cabernet Sauvignon, California was the hands down favorite of all of the wines tasted. Perhaps it was the vintage date or the $0.45 premium over the NV Sutter Home, Cabernet Sauvignon, California that account for higher-quality fruit. Alcohol 13.5%. This had red fruit on the nose with a hint of greenhouse aromas. In the mouth the red fruit had some ripeness, a greenhouse note, and a hint of jammy sweetness. The tannins were pleasing. It did have an odd under-note and feeling of confection. Would rate higher but for the oddity. Poor. Alcohol 13%. The color was a medium ruby grape. There was sweet blue fruit on the nose. In the mouth was a round start with ripe fruit that had grip and was balanced with acidity. It had a creamy blueberry finish with good texture. Perhaps too much residual sugar for my preference. * Now. Alcohol 13%. The color was a light to medium ruby. It had a cleaner fruit nose. In the mouth were leaner black and red fruit, subtle structure, a little appropriate greenhouse flavor, and some candied notes. * Now. Alcohol 13.5%. This had a subtle nose. In the mouth were ripe but controlled red and black fruit, plenty of integrated acidity, some spice, a little chewy finish, and structure towards the end. This tasted like proper wine and was hands-down the best. * Now. Use by 02-08-15. Alcohol 13%. There was a sweet nose of sweet floral aromas. In the mouth this wind revealed round, soft, rather perfumed sweet fruit. It was very round with creamy fruit, some herbaceousness, and a downright odd profile. Poor. Use by 05-07-15. Alcohol 13.3%. This had a better nose of black fruit and greenhouse aromas. In the mouth the herbaceous black fruit had a grapefruit note with integrated acidity and tannins. There was texture in the finish and a surprising amount of tannins. Tasted manufactured but drinkable. * Now. Alcohol 13%. There was a bizarre and off-putting nose. The mouth had round, cherry fruit which tasted old in a way. There was old perfume, acidity, ripe tannins, and downright odd flavors. Poor. 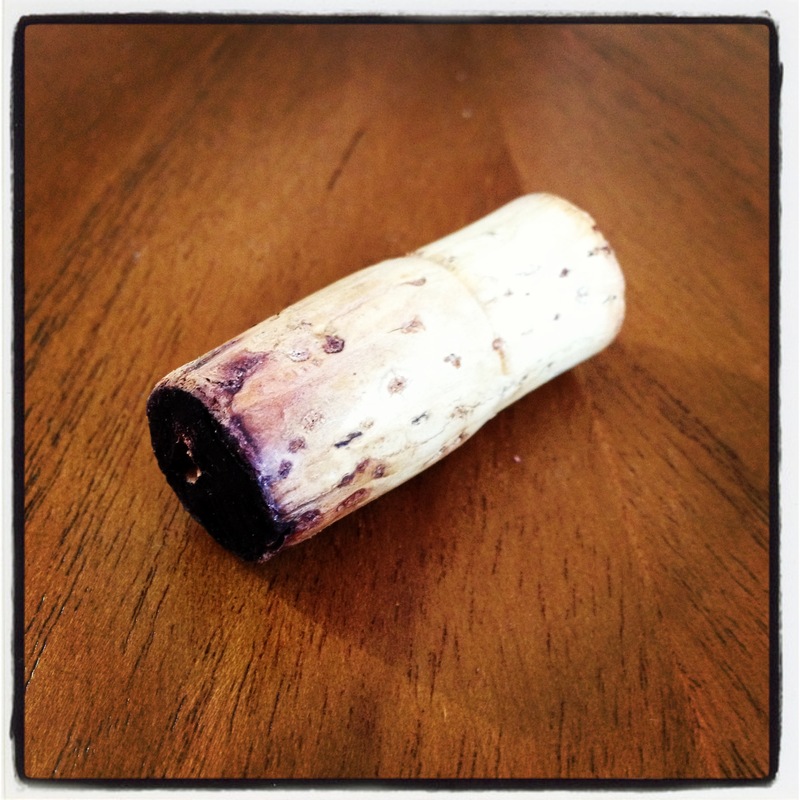 Jenn and I recently tasted through a slew of Australian wines. 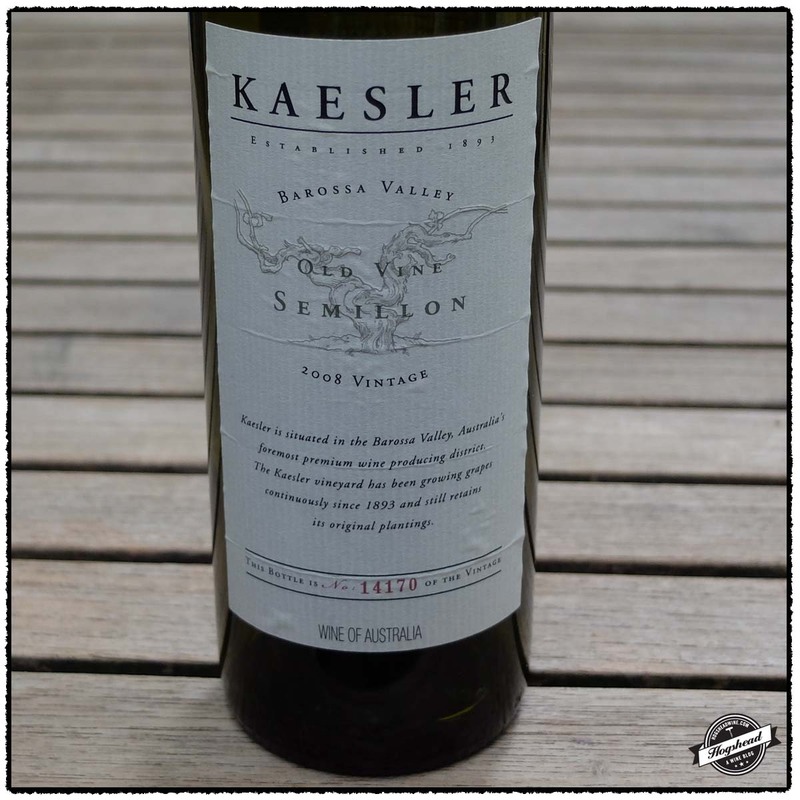 John likes some age to his Semillon and of the three that I tried, the 2008 Kaesler, Old Vine Semillon was the most interesting and it is still young. I would cellar it a few more years. I found more to like with the red wines. The 2010 Shadow Chaser, Red Wine is a good buy at $13. 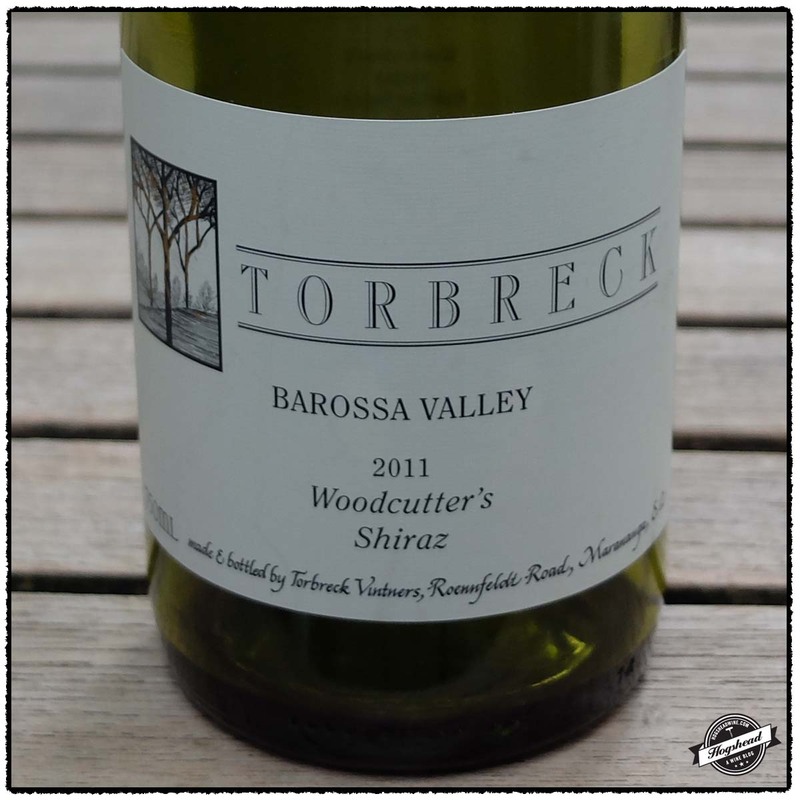 The 2011 Torbreck, Woodcutter’s Shiraz proves to be another satisfying vintage and one I could drink by the case. The 2010 Tournon, Mathilda Shiraz from Michel Chapoutier is evocative of the Northern Rhone. It really is a good wine which I would age for a year. It is also only $13 so grab several at a time. 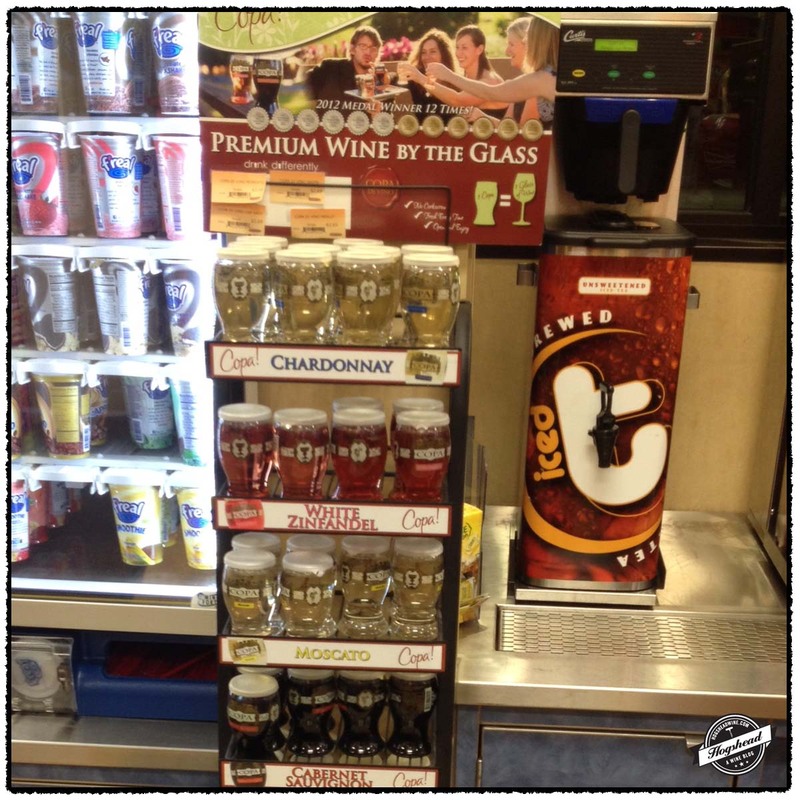 These wines are available at MacArthur Beverages. Imported by Wine Creek LLC. This wine is 100% Semillon with fruit from the younger vines fermented in stainless steel and the older vines in used French barriques. Alcohol 14%. The color was a light straw yellow. The nose revealed tart pear and ripe lemon aromas. In the mouth there were pineapple flavors which were a touch more ripe than the other Semillons. The wine had a pebbly texture with berry and tooty-fruity flavors near the finish. It showed some grip. ** Now-2015. Imported by Epicurean Wines. 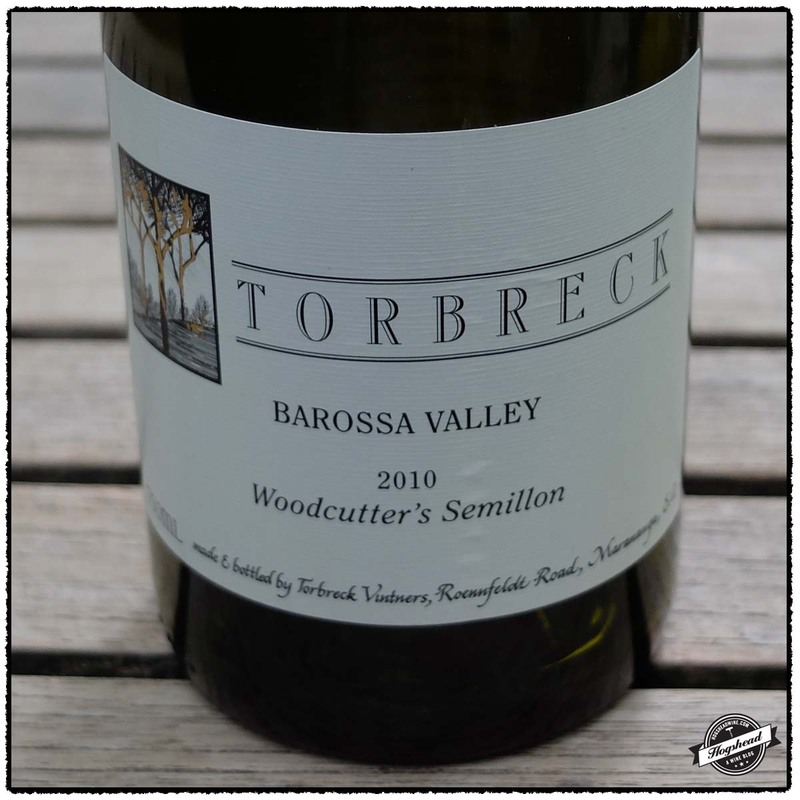 This wine is 100% Semillon sourced from vines planted in 1961. It was aged for seven months on the lees. Alcohol 14%. The color was a light straw yellow. 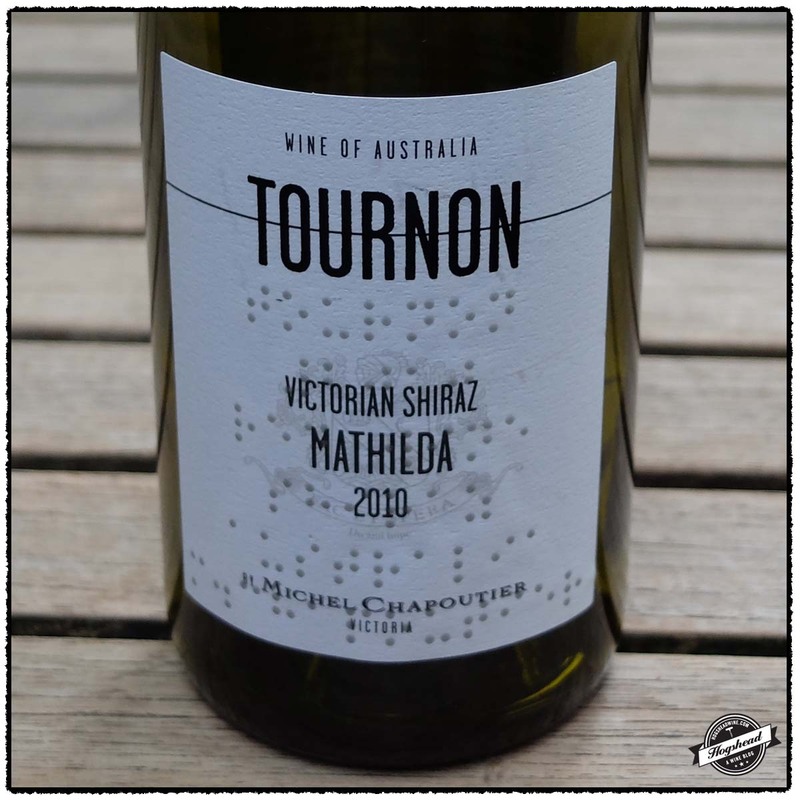 The nose was slightly rich with Semillon aromas that stepped out of the glass. Perhaps a little toast as well. In the mouth there was acidity with tart white and light yellow fruit. There was plenty of acidity for the gravelly, citrus flavors. There was a ripe lemon texture and dried herbs in the finish. In a sense this is still very young. ** Now-2018+. 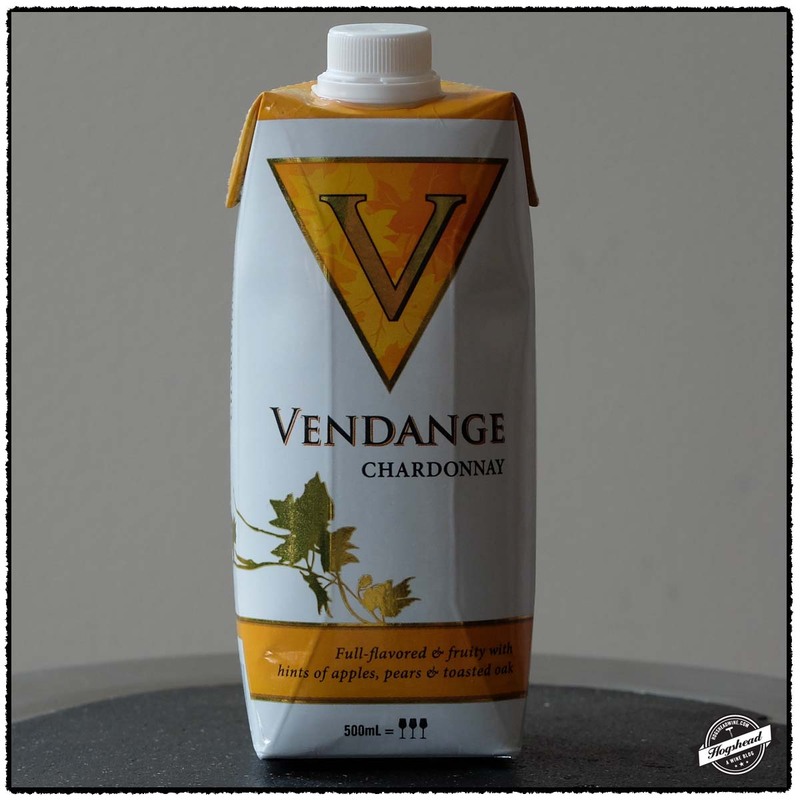 This wine is a blend of 57% Semillon, 24% Sauvignon Blanc, and 19% Chardonnay. Alcohol 12.5%. The color was a light yellow with a gold tinge. The nose was subtle with dried herbs and flowers. In the mouth there was richer fruit driven by acidity which promptly expands to reveal drier, lighter, and very lively flavors with underlying mature notes. The white fruit brought a little focused citrus note in the back-end. ** Now-2017. Imported by Epicurean Wines. 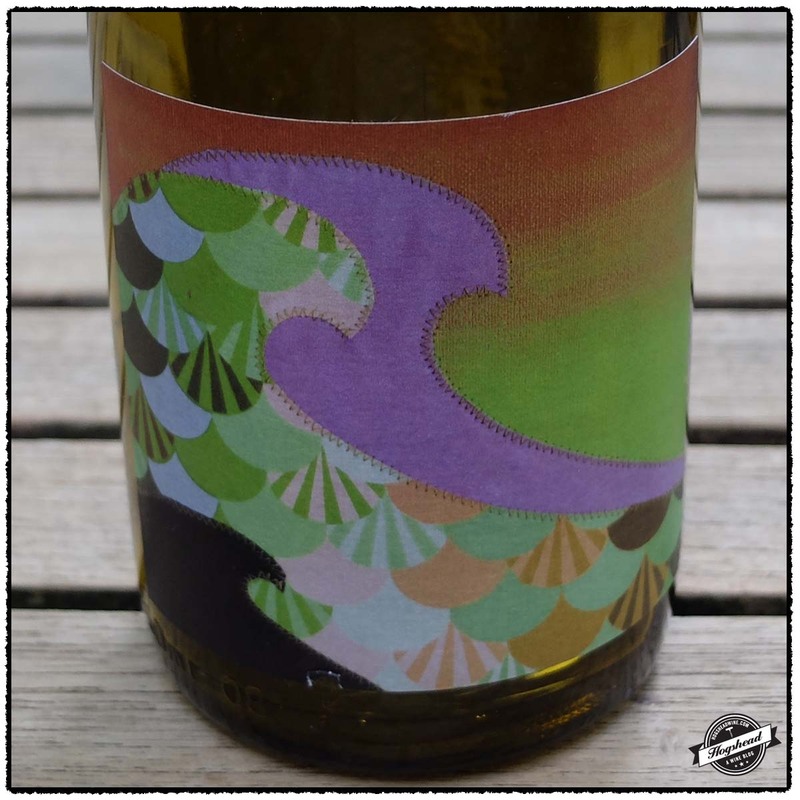 This wine is 100% Chardonnay sourced from four vineyards with vines 11 to 34 years of age. The fruit was fermented in stainless steel using indigenous yeasts and underwent partial malolactic fermentation. 5% of the wine was aged in French oak. Alcohol 13%. The color was a very light straw yellow. There was toasty fruit on the nose which had some grip. In the mouth there was focused, ripe white fruit, a good mouthfeel, and lots of integrated acidity. It took on fine pebbly spices. ** Now-2014. Imported by Epicurean Wines. This wine is 100% Grenache sourced from two 40+ year old vineyards. The fruit was fermented and aged in stainless steel. Alcohol 14.5%. There was a good nose of fragrant berries. In the mouth there were fresh ripe berries, black and racy fruit, and a savory and weighty personality. The flavors were drier in the finish where it was a little rough, or furry as Jenn put it. The acidity was supportive from underneath with firm minerals towards the finish. There was a nice mineral texture. ** Now-2015. Imported by Wine Creek LLC. 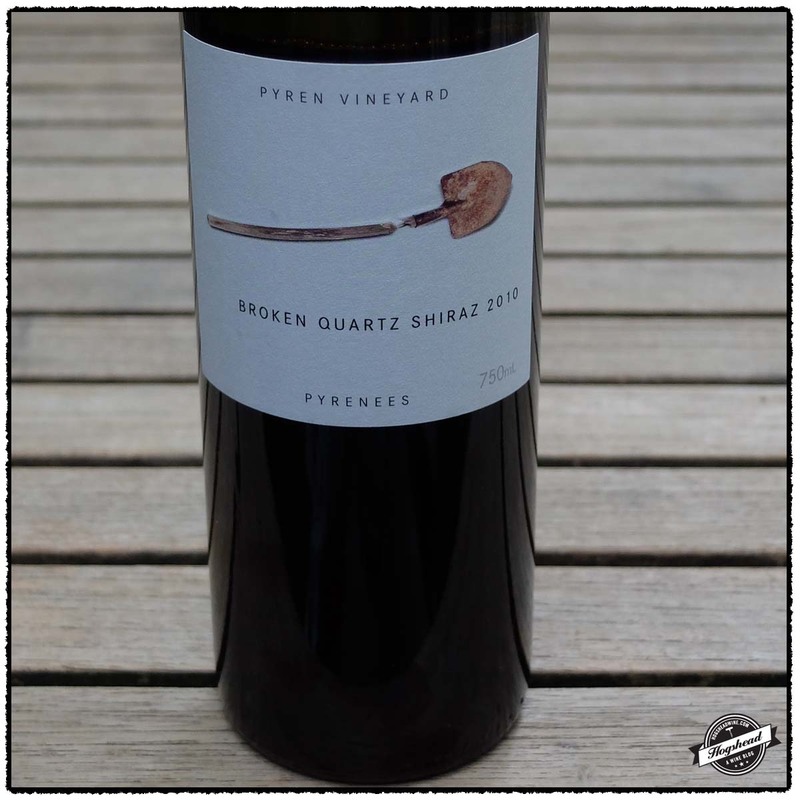 This wine is 100% Shiraz which was fermented in stainless steel, cement, and wooden vats. It was basked pressed then aged for 12 months in used hogsheads and foudres. Alcohol 14.5%. The color was a medium black cherry. There was a tart start with young, complex fruit with good depth. The wine was a little chewy and sappy with a tautness from youth. With air spices and black minerals came out in the finish. *** Now-2018. Imported by Fruit of the Vine. This wine is 100% Shiraz which was vinified and aged in both concrete and stainless steel tanks. Alcohol 13.5%. The nose was lifted with aromas of smoke and some meat. After a few hours the wine opened up with tart red fruit, tart black fruit, and some citric tannins. It remained a little tart and grapey with minerals in the finish. A good wine which needs a little time. *** 2014-2019. Imported by Negociants USA. 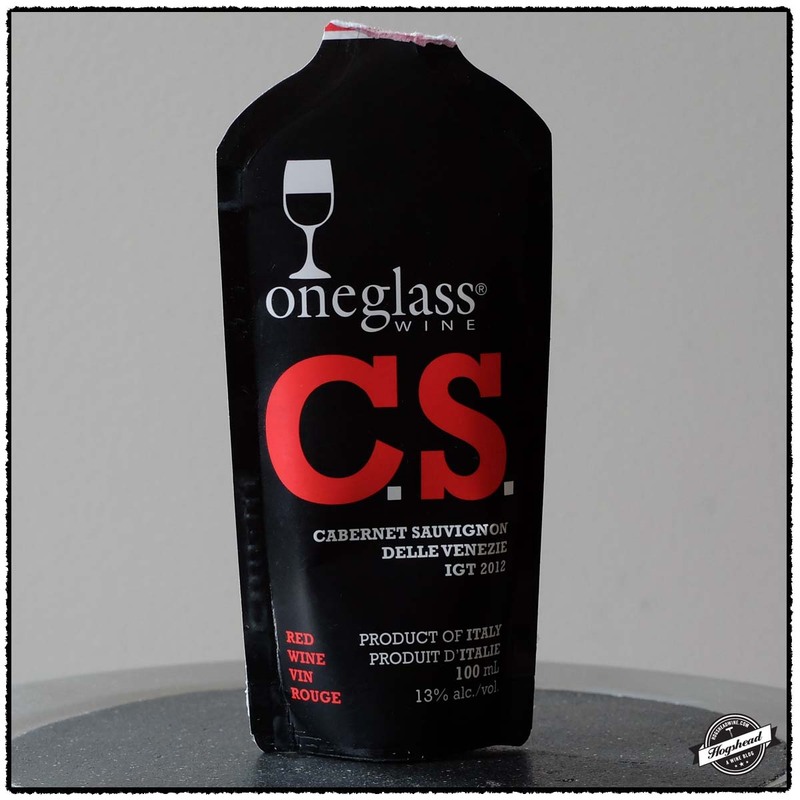 This wine is 100% Cabernet Sauvignon which was aged 10 months in American and French hogsheads and barriques. Alcohol 14.1%. The nose bore greenhouse aromas. In the mouth the flavors were not too tart with red and black fruit. The wine was dry with the mouth following the nose. It was rather focused the first night but showed more ripe fruit the second night. ** Now-2015. Imported by Vine St Imports. 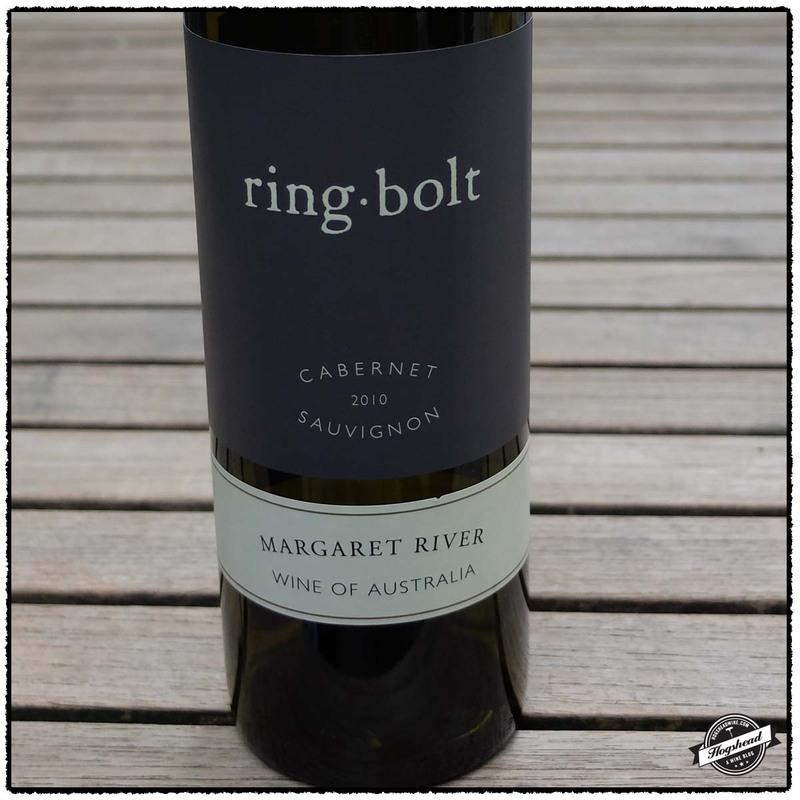 This wine is 100% Shiraz which was aged for 10 months in used French and American barriques. Alcohol 13.6%. The nose was good with fresh aromas of exotic flowers, herbs, and pepper as if from cool fruit. In the mouth there were very tart flavors of citric red fruit. It was a little pebbly on the tongue time and certainly vibrant. Interesting but I found it hard to drink. ** Now. 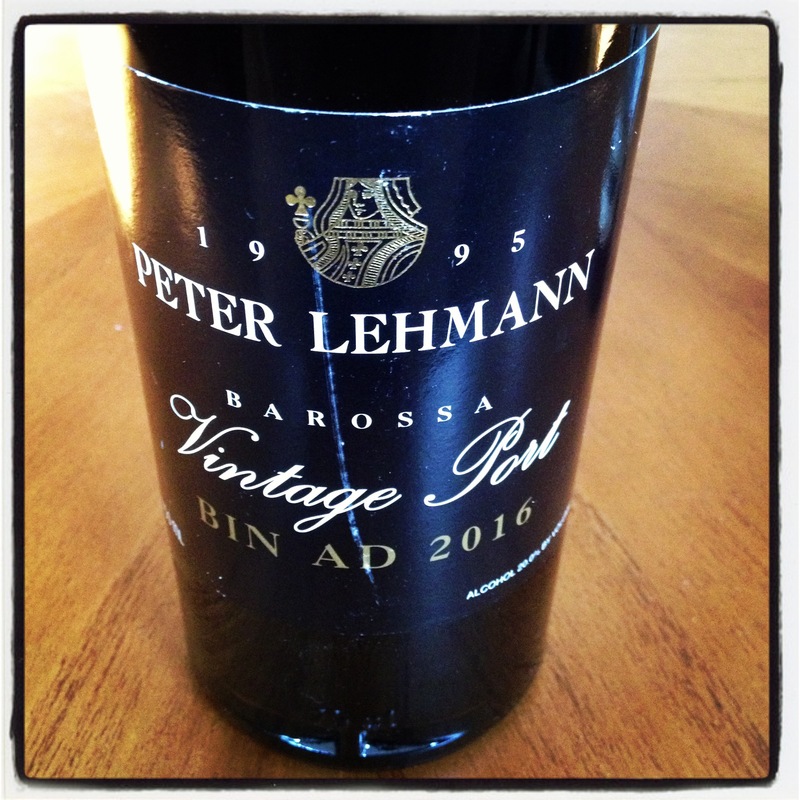 I first drank the 1998 Rosabrook Estate, Abattoir Block Shiraz at ten years of age (Please see my post Inaugural Aussie hammers and Abattoir). 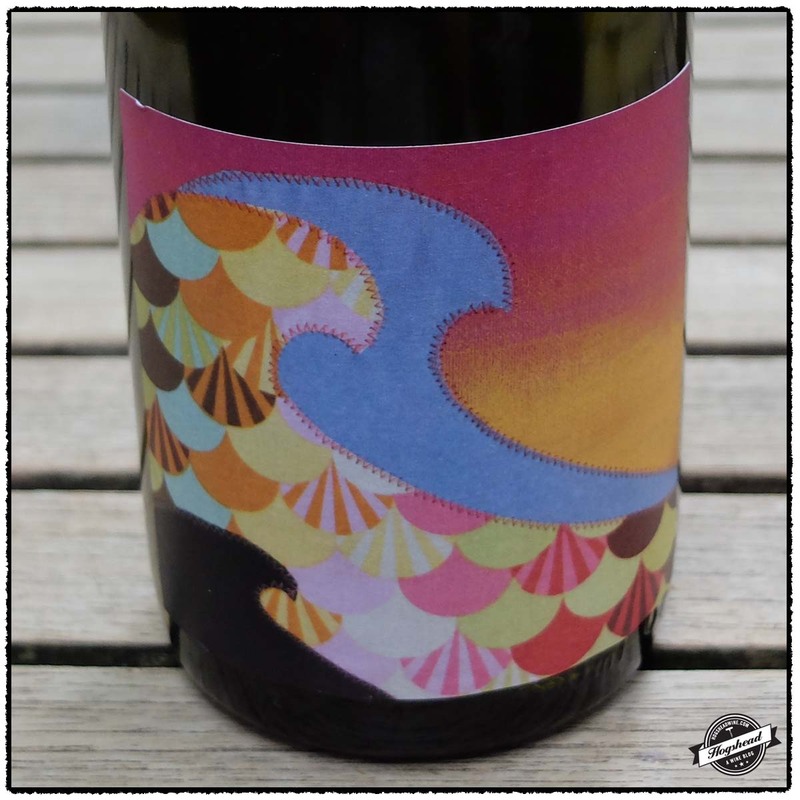 Around the same time I also drank the 1998 Maxwell, Grenache, McLaren Vale (Please see my post Six Aussies Including the Tasty 1998 Maxwell Grenache). These were much different from the rich, ripe, and alcoholic Australian wines I often tasted. I do remember taking the Rosabrook to Shane’s house for a blind tasting. It was particularly earthy and meaty, people thought it was an Old World wine with most not liking it. But we did. From my emails I see that we bought more of each. The common thread between these two wines is that they were imported by Weygandt-Metzler. 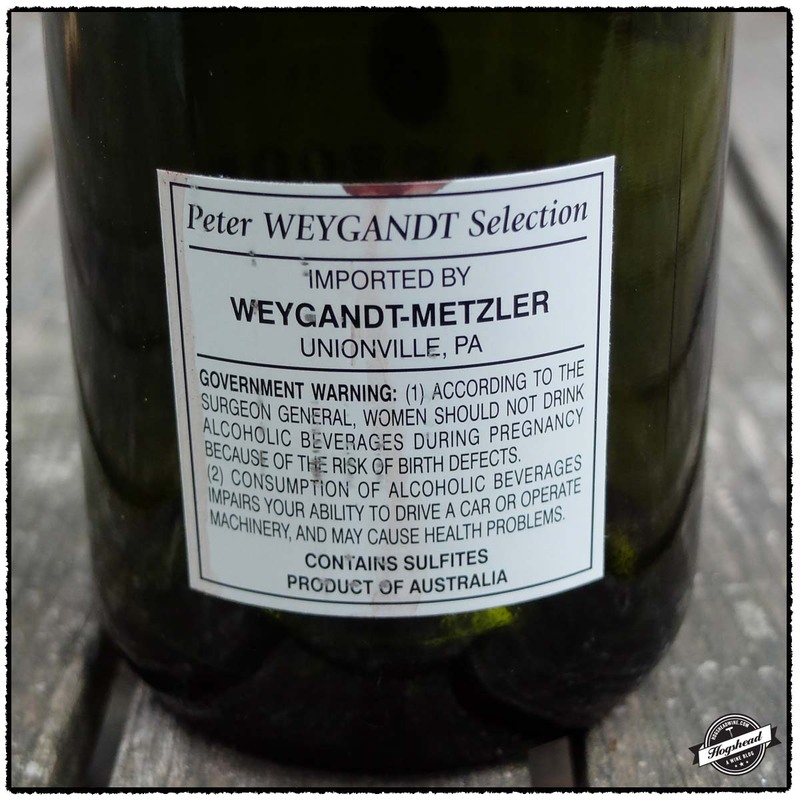 Twelve years ago Peter Weygandt imported both French and Australian wine with the later represented by twenty different wineries. Today the portfolio is still heavy on the French wine but only one Australian winery is still on the list, that of The Gatekeeper. So if you see his older wines in a store it might be worth the gamble. 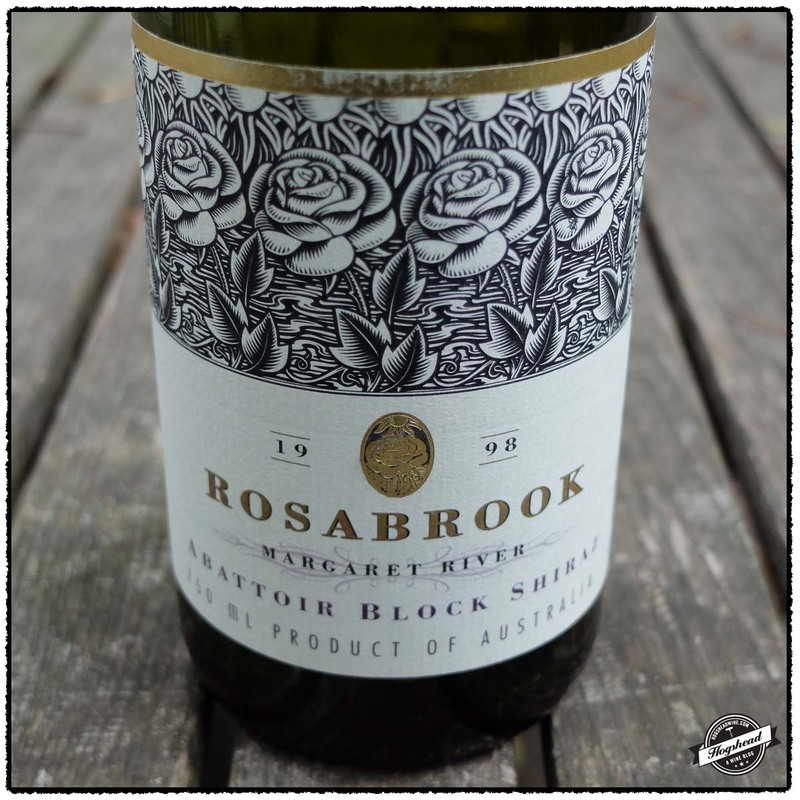 Rosabrook Estate was founded in 1980 with Simon Keall the winemaker for the wine featured in this post. The early wines were produced using fruit from a 7 hectare vineyard planted with nine different varietals. The cellar door was Margaret River’s first commercial abattoir built-in the 1930s. The James Halliday Australian Wine Companion books list “Slaughterhouse Block” so “Abattoir Block” might have been the American name. The winery relocated its vineyard in 2007 so this wine is no longer produced. Last week there were three bottles of this wine left. If you are at all curious then I would grab one right away. It is still drinking really well and is ultimately a satisfying, flavorful drink. This wine is available at MacArthur Beverages. Imported by Weygandt-Metzler. This wine is 100% Shiraz aged in both American and French oak. Alcohol. The color was a medium garnet-cherry which shows its age. The nose was a little scented with spices, roast, red, and blue fruits. In the mouth there was still a core of ripe red and blue fruit. 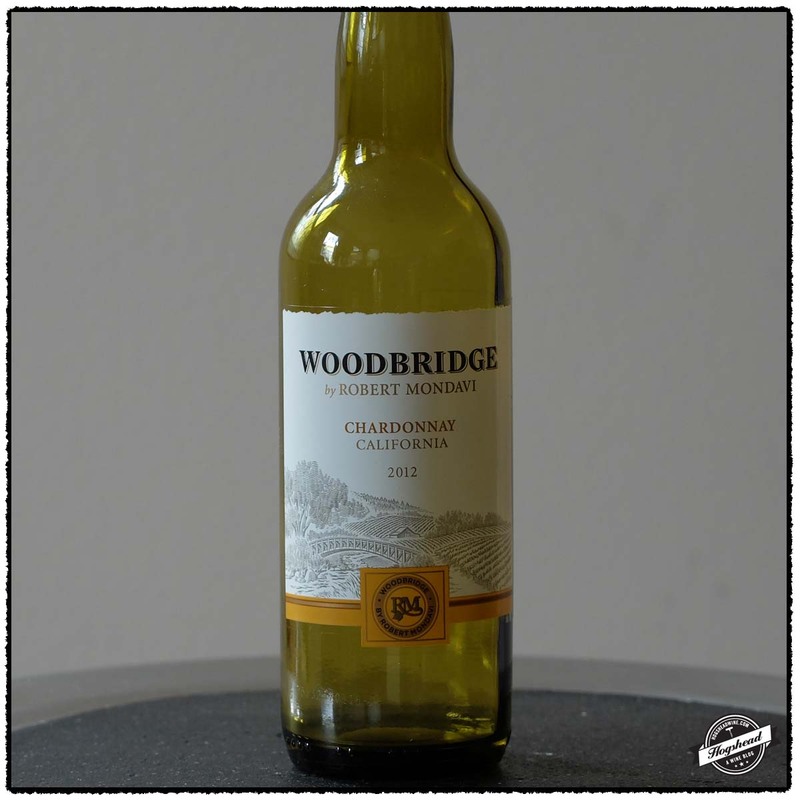 It mixed with woodbox flavors which were perfectly balanced by the acidity. There were spices, a hint of tobacco, and a little smoke which nicely set off the blue/black fruit. It eventually revealed meaty flavors with air and a little, tangy orange citrus. It maintained its acidity throughout. *** Now-2018. I am working on my most involving historical post yet. While I am having great fun researching, reading, and analyzing I am spending a significant amount of time on this post. 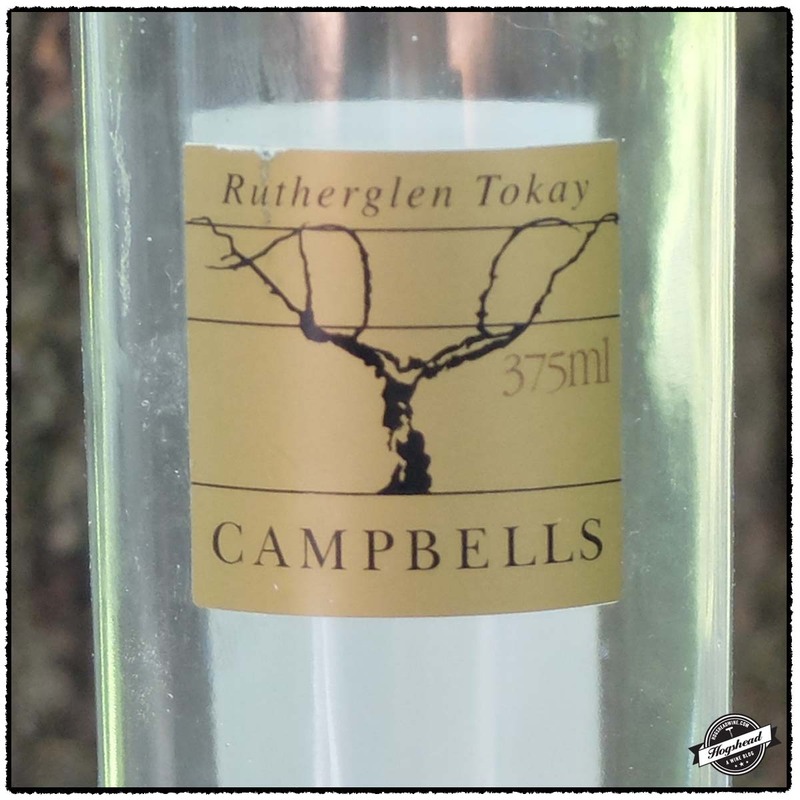 So I need to publish a number of simpler tasting note posts. Tasting note posts do not always make the most compelling of reads but hopefully this may be mitigated by including some interesting wines. 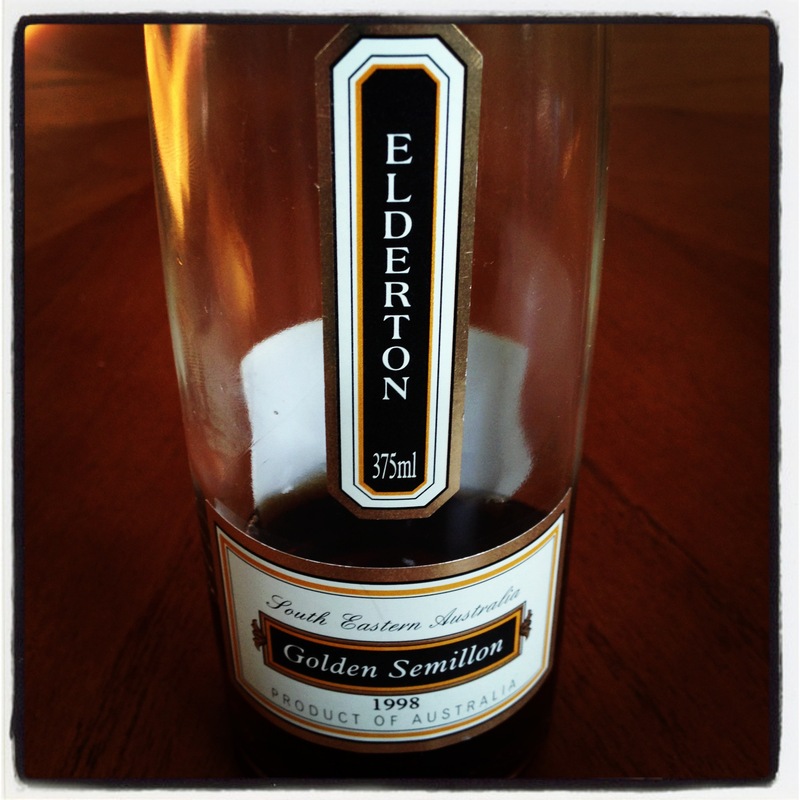 In this case a recently drunk 1998 Elderton, Golden Semillon. I took a chance because my friend William introduced me to Elderton, Command Shiraz many years ago so I have thought it a traditional winery. If you like apple cider than just buy a bottle of the Golden Semillon. Once opened it drinks well for quite some time. I had a glass after I returned from Mondovino 2013 and it was therapy for my tongue. On the other spectrum, the 1995 Peter Lehmann, Vintage Port would be a decent wine if you could remove the spearmint aroma and flavor. Tasted eight days after I opened the bottle, with a partially shoved in cork, the spearmint bit was fading and a brighter red berry note developing. Perhaps this needs a two-week decant. A better option is to skip the gamble and buy the Elderton. These wines were purchased at Wide World of Wines. 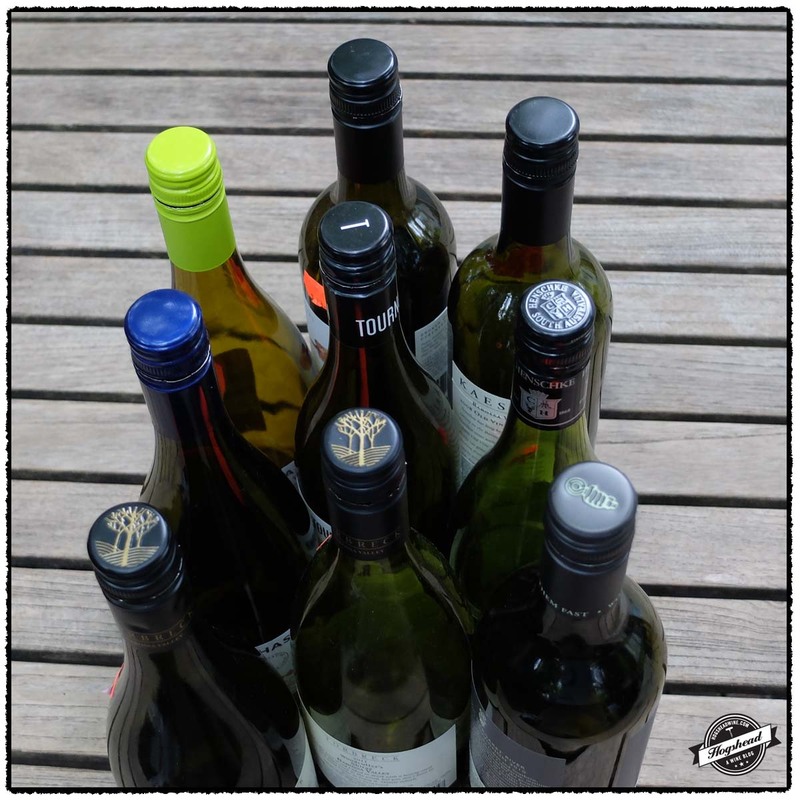 Imported by the Australian Premium Wine Collection. This wine is 100% Semillon. Alcohol 11%. The color is a golden caramel but not like a suspiciously dark Sauternes. The nose revealed ripe, fallen orchard fruit then apricots. In the mouth there was apple-like notes, tangy acidity, and not too much residual sugar which was well integrated. This moderate weight wine has flavors on the edge of the tongue with grip and spiced apple notes. The weight from the residual sugar is kept alive by acidity throughout. The finish brings fresh apple cider and wood box notes. Lovely. **** Now-2023. Imported by Appalachian Imports. This wine is 100% Shiraz. Alcohol 20%. The light to medium nose was fresh with spearmint and ultimately odd. In the mouth there was ripe and sweet red fruit, residual sugar, and a little spice. The spearmint flavors came out, which just wasn’t my style. There were still tannins, decant acidity, and a fresh aftertaste. Quite frankly it was just odd. * Now-2033.